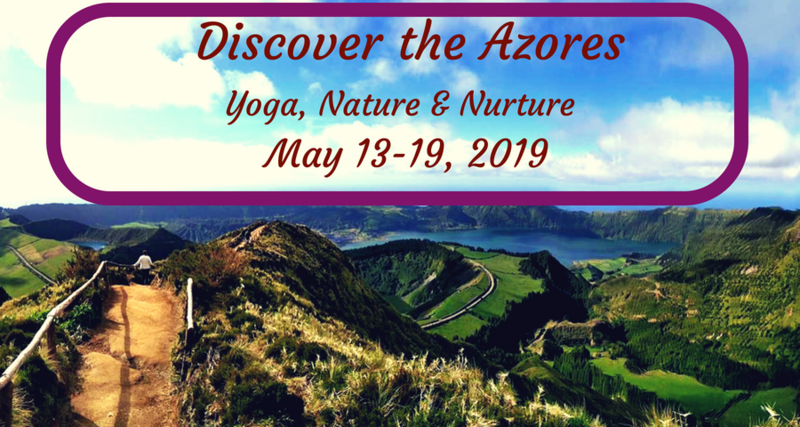 AZORES: Yoga, Nature & Nurture Adventure May 13-19, 2019. The Azores, Sao Miguel Island…described as a blend of Hawaii and Ireland, with tastes and culture of Europe. Its dramatic scenery, volcanic cliffs and beaches, beautiful rolling hills make it is MUST SEE destination. It is lush, green and off the beaten path. It is Europe meets the Tropics. The Azores are an outdoor lovers paradise. So rich in breathtaking scenery with incredible hikes to volcanic rims, rolling hills like Ireland, hot springs, tidal pools, fabulous deserted black and white sand beaches, surfing, biking and of course yoga. Sao Miguel is the largest Azores Island (Portuguese), located in the Atlantic about an hour flight from Lisbon, Portugal and about 5 hours (direct flight) from Boston, USA. It provides plenty of culture with the European feel, yet very much its own place. It is in the Top 10 most SUSTAINABLE PLACES IN THE WORLD, which means its really clean, the food is the freshest and delicious, local wines and liquors from their vineyards, mostly everything is locally sourced and organic. Expect Spring-like temperatures in the 50’s and 60’s – perfect for outdoor adventuring and exploring. The weather in the Azores is sub-tropical and often unpredictable, that is what keeps it so lush, like jurasic park and creating those amazing rainbows! 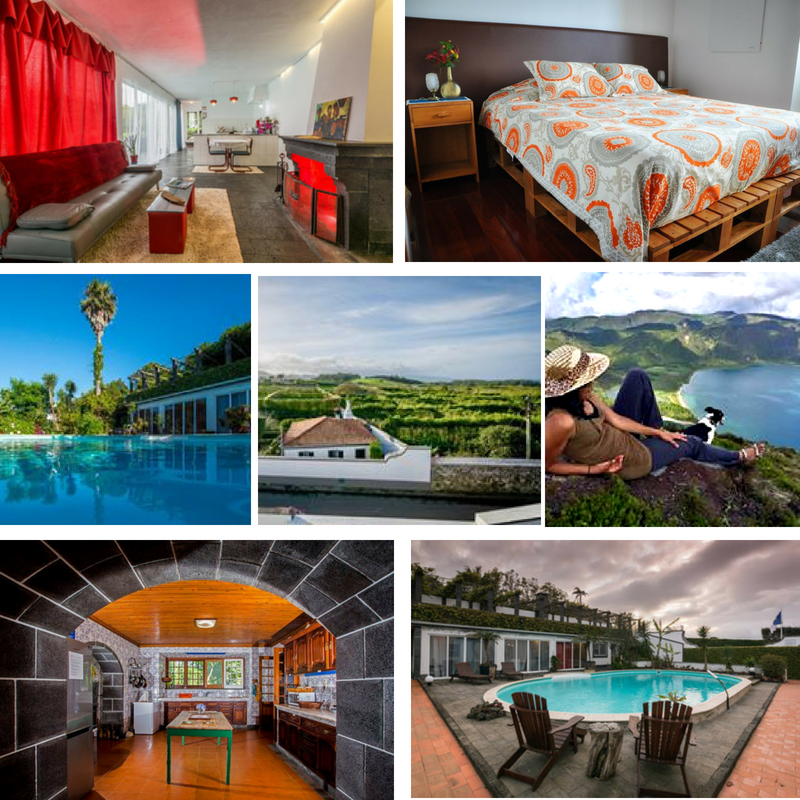 There will be plenty of adventures and truly getting to experience the Azorean way with our retreat hosts. We will be staying at Quinta Minuvida Orchard Lodge,which is surrounded by gardens and fruit orchards. There is a swimming pool, fire-pit, observatory tower and plenty of private areas for relaxation. All accommodations feature lovingly renovated suites, each unique and gorgeous, with its own private bathroom. It is centrally located, only 15 minutes from the airport and about 30 minutes from most attractions. We are close to beaches, walking trails, hotsprings and bike paths, not to mention the largest fishing port in the Azores. Yoga room is equipped with mats and props. Click here for more photos of Quinta Minuvida and its grounds. – Roundtrip airport transfers from Ponta Delgada Airport (PDL) to Quinta Minuvida and back (about a 15 minute ride each way). – Airfare to Ponta Delgada (PDL) – we will provide you with info on which exact flights to book. €300 deposit (non-refundable) is required. Full payment is due November 1 2018 .